Cosmetic Surgery Partners offers a wide range of cosmetic treatments, Book a free skin care consultation with our experts. Cosmetic Surgery Partners are one of the UK's leading Cosmetic Surgery specialists, we are pioneers in the industry and have a highly experienced team. Get in touch with us today by giving us a call or dropping us an e-mail and a member of our dedicated team will be able to assist you with your query. Cosmetic Surgery Partners specialise in a variety of Facial Surgery such as Face Lifts, Neck Lifts and Brow Lift. If you are thinking of having Breast Surgery including enlargements and reductions then contact us today. Cosmetic Surgery Partners is a cosmetic surgery clinic with great expertise in a wide range of surgical and aesthetic treatments. Our London-based practice was formed by World class surgeons who set out to combine the very latest operating techniques combined with their years of experience to offer the best surgical and aesthetic treatments. Above all, we deliver top patient satisfaction and results you can be proud of. Our surgeons have years of NHS experience and are all UK trained and accredited as well as belonging to industry associations including The Royal College of Surgeons (RCS) The British Association of Aesthetic Plastic Surgeons (BAAPS), British Association of Plastic Reconstructive and Aesthetic Surgeons (BAPRAS) and the UK Association of Aesthetic and Plastic Surgeons (UKAAPS). 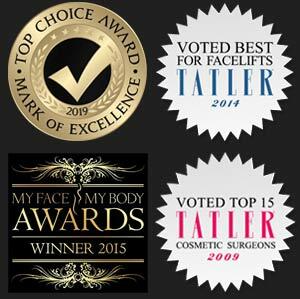 They hold many awards for excellence and were voted winners of the ‘Best Aesthetic Clinic in South England and Wales’ category at the MY Face MY Body Awards 2015. Nick Percival and Dai Davies were awarded top 15 cosmetic surgeons by the prestigious Tatler magazine awards 2009, Cosmetic Surgery Partners’ surgeon Caroline Mills was voted best for facelift surgery by Tatler 2014, while we won Britain’s Best Cosmetic Practice and Cosmetic Surgeon of the Year in the 2011 Exchange Award. Our surgeons are sought after as expert commentators by media including the Daily Mail, Daily Telegraph, More Magazine, Reveal and BBC Radio. They have also appeared on TV programmes such as Botched Up Bodies, Extreme Makeover, Make Me Perfect and Cosmetic Surgery School. The founder of Cosmetic Surgery Partners and one of the leading cosmetic surgeons in the country, Dai has published more than 70 articles and penned five books on cosmetic and reconstructive surgery. 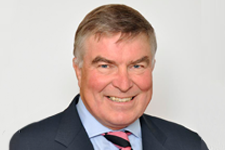 Nick is an international expert on facial rejuvination surgery, facelifts, browlifting, blepharoplasty and rhinoplasty. A media favourite with a number of high profile and celebrity patients. A regular media contributor to national newspapers and television and also a full member of BAPRAS (British Association of Plastic, Reconstructive & Aesthetic Surgeons. Liaquat is a fully trained and UK accredited Plastic, Reconstructive and Cosmetic Surgeon. 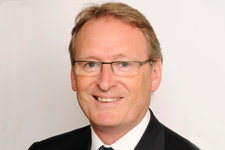 He was appointed Clinical Academic Lecturer in Plastic Surgery (2010), and is a full member of BAPRAS. Mr Davood Fallahdar is a fully accredited Consultant Plastic Surgeon, he also specialises in Aesthetic Surgery, Reconstructive Surgery and skin cancer. Lindsey is highly knowledgeable and enthusiastic about skin care, she administers a range of non-surgical treatments and is an expert on skin rejuvenation. 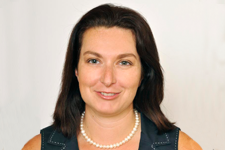 Julia has been Cosmetic Surgery Partner’s clinic manager since the beginning. She has been active in the cosmetic surgery industry for over 10 years.